my favorite thing about blogging is getting to be as geeky as i want and having friends online that are right there with me. this was not the case growing up – in grade school and high school, it was never a good idea (socially) to overtly try hard at anything. you were supposed to hang back and blend in, not talk about how you were really into some nerdy niche thing. i’m 30 now, and i’m finally over that. 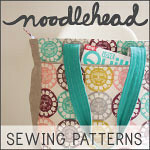 the sewing blog world obsesses over fabric lines and patterns and new creative ideas. i don’t blog to put out the thing that will get 100,000 hits. 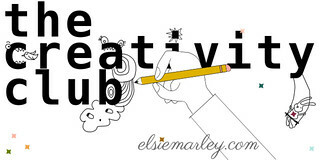 i blog because i’m a bit different, you’re a bit different, and we all support and inspire each other. season 4 got a movie challenge, which made me insanely jealous because i LOVE movies. jessica made this drive outfit that totally blew me away. i mean, who has the cajones to sew from a new, violent, not-so-well-known movie like that, the skill to pull off a quilted, piped, satin driving jacket and oh by the way, she also whipped up some jeans?! jessica, that’s who. because she’s awesome. once her season was over, we started chatting (texting constantly) about how it’d be fun to do something together where every so often, for our own amusement, we make outfits for our kids inspired by movies. we’re not talking about your classic “nice” movies here. we’re talking about kinda weird, indie, random movies inspiring outfits that are hilarious on little kids…and lo, a new series was born. we’re calling it film petit and we’re just gonna launch right into it! as soon as i saw the season 4 movie week challenge, i knew i wanted to sew ned plimpton/kingsley zissou from the life aquatic with steve zissou, directed by wes anderson. 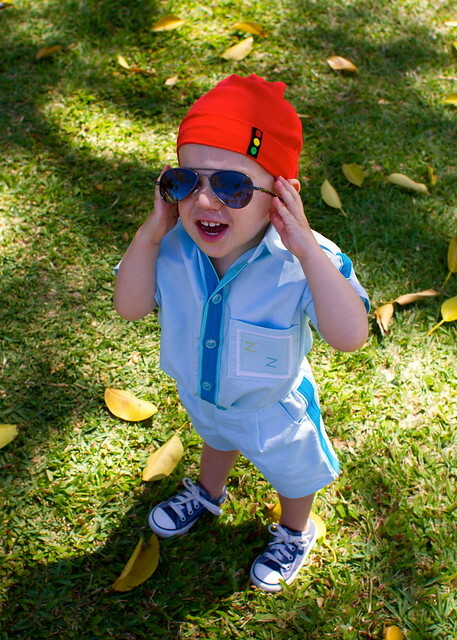 ned plimpton is a pilot, and steve zissou’s adult son (allegedly). steve tells him “i would have named you kingsley, if i’d had a say in it,” so kingsley it is. a good part of the movie is ned/kingsley and steve developing an awkward father-son relationship with each other (as they hunt down the fabled jaguar shark). i didn’t have time to sew this during the sewalong, but luckily it’s jessica’s favorite too and she was happy to indulge me now! my husband and i also share a love of movies, including this one. 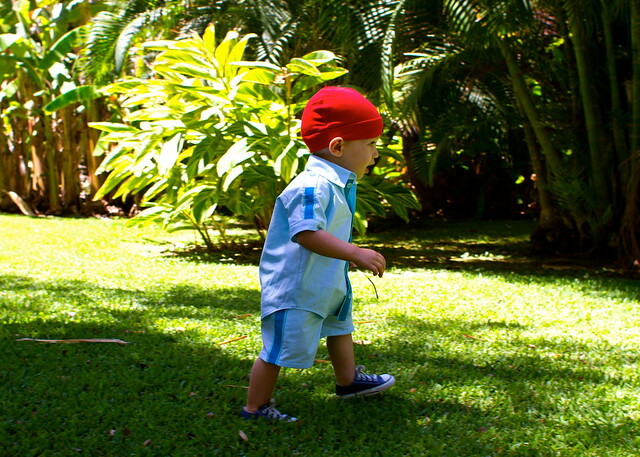 when i was pregnant with Em, i bought a light blue sleeper and red infant hat for him to open at christmas. that was 2007! 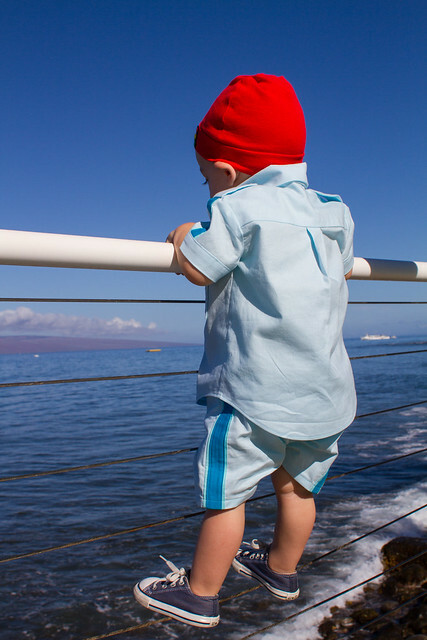 now that we have a 19 month old son, i figured it would be most fitting to make him the full zissou uniform. 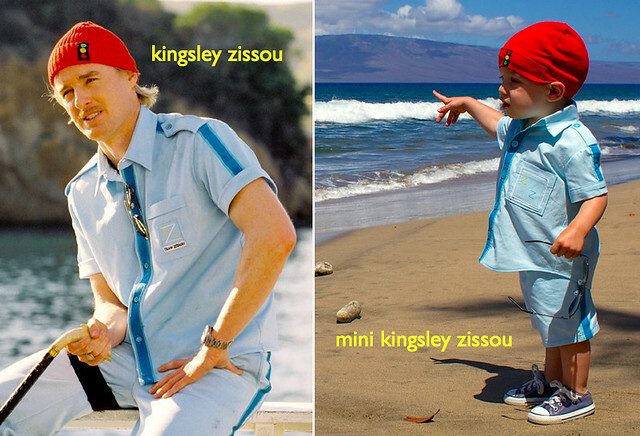 here he is next to the real kingsley zissou, played by owen wilson. wes anderson is famous for his careful attention to detail. i tried to get my little outfit as close as i could while making a few intentional changes (shorts instead of pants, kona cotton instead of polyester, no gun strapped to his thigh), but i did miss one major detail that’s driving me a bit crazy. i’m sure you spotted right away that their stoplights don’t match. AAAARGH! 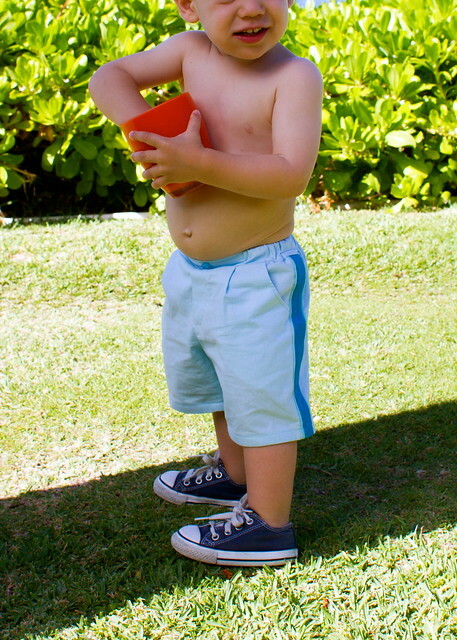 i used the oliver + s sketchbook shirt and shorts pattern in the 12-18 month size as the base, appliqueing double stripes to the placket, sleeves, and sides of the shorts using steam-a-seam lite and topstitching them in place. i chopped a few inches off both the sleeves and the shorts to give them a more retro look, and bound the sleeves (and used binding on the shorts hem too) for accuracy and to reduce bulk. i added epaulets at the shoulders and a team zissou patch to the pocket. his cap is the family sweater hat pattern from handmade home by soulemama, which i cut several inches longer than the pattern and folded it up to create a cuff. i hand-tacked it in a few places, then appliqued the felt stoplight on top. the hat is made out of an old tank top of mine (same one as strong boy). i finished hand sewing the collar the night before we left for hawaii…so worth it for the perfect setting, right? head on over to a little gray to check out jessica’s version of how this series came to be, giggle-out-loud at her steveZ swimsuit, and admire her adorable little crayon ponyfish dress! so, so great. of course she sewed for both kids…that’s the mark of a champion right there. 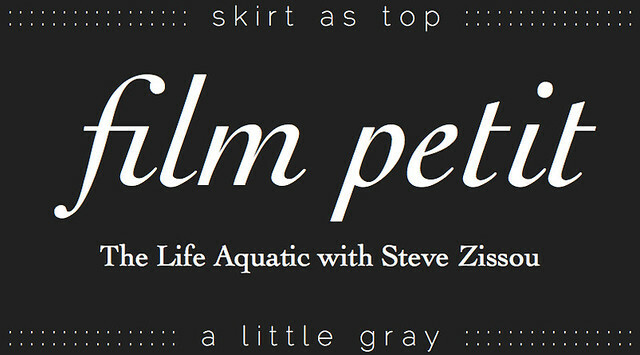 here’s how film petit will work. every month or so, jessica and i will sew an outfit (or outfits) for our kid (or kids) inspired by a movie we love. starting next month, we’re going to invite a rotating third blogger to join us! we’ll decide on the movie together, link to each other, and it’ll be fun to have a fresh face sewing with us every time. our friend gail from probably actually will be joining us in august! we started a film petit flickr group to celebrate the love of sewing inspired by movies, and have added a few of our past projects in there (i know, i sewed a dorothy outfit – i’d only been sewing a few months, gimme a break!). feel free to add any movie-inspired sewing you’ve done in the past, and if you decide to sew along with our film petit movies, we’d love to see that too! once we get a good number of projects in there, we’ll start doing roundups (or maybe ask you to join us for a future film!). this is a pretty relaxed series, really the only rule is to make handmade outfits for kids based on films you love. if you have any questions, please let either of us know! PS – do you ever wish you could breathe underwater? This is amazing. I love this film and love the idea of making movie outfits for kids. Eep! Finally, an excuse to make ALL those fabulous dresses Maggie Cheung wears in In the Mood For Love. I have to question what rock people are living under who have never heard of Drive, though? Ryan Gosling is obscure? Anyway, who has a pattern for a tiny cheongsam. I know! It was pretty magnificent and the moody photography really popped. I am referring to her mini-version, by the way, not just the movie! oh yes, you guys are good. 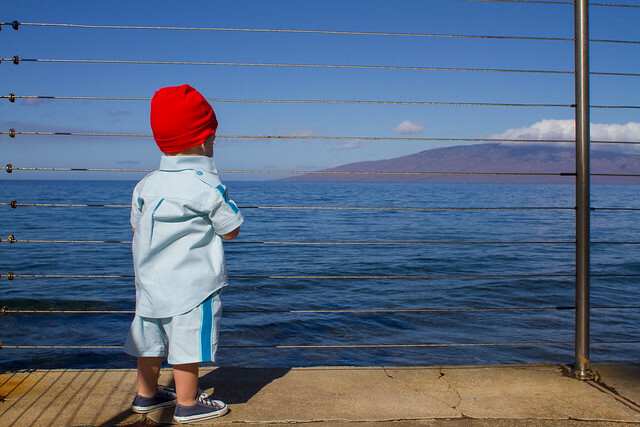 that little zissou outfit is killing me, despite the fact that life aquatic is the one wes anderson movie i haven’t seen! very much looking forward to this series!! WHAT? You’re gonna need to remedy that – it’s such a great summer movie. So excited for next month! I LOVE it! Wes Anderson movies are awesome. My favorite is The Royal Tannenbaums by far though. 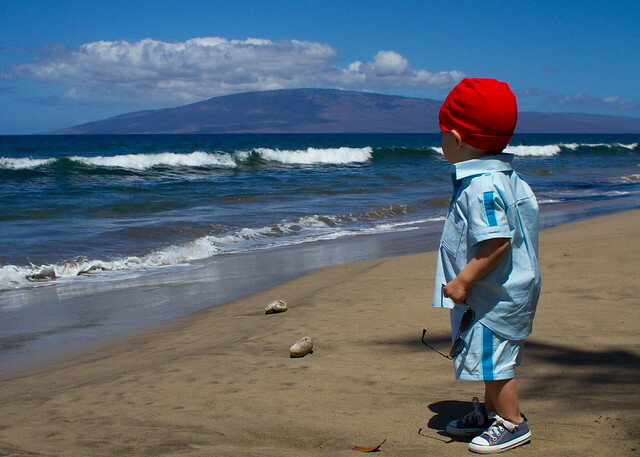 Great Life Aquatic outfit! Very impressive. I’ll have to upload my movie sewings once I get on my laptop later. Great blogger idea! Thanks! Royal Tenenbaums is DEFINITELY on the list. FOR SURE. I can not begin to tell you how much I adore this idea. 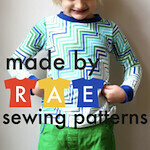 You gals are helping change the image of women who sew for their children. We’re not all sickly sweet. Many of us are a little geeky and funny and in your case very very cool! I adore Wes Anderson films, and that little outfit really just made my day. I am so excited to see what’s next! Oh yay, thanks Carla! I agree, it’s fun to add a little edge to sewing sometimes. That’s the beauty of being able to make clothes, right? You can create whatever makes YOU smile. Totally agree with Carla here. You rock! I love this, and I’m so happy you and Jessica are doing this series. I can’t wait to see what other movies you select. Love!! Oh, Kristin—this is so brilliant and hilarious! Now you’ve really got me thinking about my favorite movies and the looks I could imitate for Lauren. So fun! thanks, heather! movies are so personal – i’d love to see what you came up with! Such a brilliant outfit, the detail is perfect and your son looks so cute in it. Friends of ours called their son Kingsley. I absolutely love the series idea and look forward to seeing what you come up with next. The two of you are amazing. this is awesome you guys! although I’m not a movie buff, it’ll be fun to see what you guys come up with, really refreshing!!! anna, we are going to blow your mind. you’ll want to be a movie buff when we’re through with you! haha. Yay! So excited for this series to start! This outfit is perfect, I love it! I just saw Moonrise Kingdom this past weekend and the entire time I kept nudging my husband and whispering how great the clothes would be to sew! I can’t wait to see what you two come up with! ME TOO. Way too much inspiration in that one – it’s amazing! Your skills are amazing… I’m so impressed! My favorite about this series is that both you and Jessica mentioned you are not doing this to get hits or to get super popular, but because it is fun for you. I think that is why I have never been a great blogger. There is a lot I love about blogging, but I don’t want to live my life as a blog post, ya know? I just want to do what I like to do! You guys are great. Gah!!! This is such an awesome idea! I love indie quirky movies. And your little outfit is totally adorable! I think I’m going to be brainstorming outfits from some of my favorite movies for the rest of the day now. I haven’t seen this movie, but you sewed up a fabulous recreation of that outfit! Great attention to detail and adaptation of patterns you already owned. 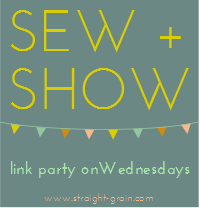 What a great idea for a sewing series!! You are my freaking hero!!! seriously I could not love this outfit or idea more. I think this might be the series that gets me to actually “sew along”. Something I’ve never done before. Love! Ooh also, clothes and houses are the main reason I like most of the movies I do. Have I mentioned I love this idea? Cause I do!! Oh my gosh, I love this so hard, I can’t even begin to explain it. I think this is the best idea I have seen in the longest time, I am finally coming to terms with my inner nerd and not giving a $@#! what other people think about the fact that I love things dearly that not everyone “gets.” Can’t wait to see the next movies and projects you guys come up with! Oh wow, thanks Devon! That’s so nice. Loving everyone’s enthusiasm!! Oh my goodness this is totally cracking me up! Love it! I love *every*single*thing* about this post, which is probably why yours and A Little Gray are two of my favorite blogs! hey i work in fashion- and the company i work for often uses a movie as the jumping off point for each seasons inspiration. perfect idea! Your Cinderella totally counts…if you want to add it. We accept all movies in the flickr group! Ooh, i forgot to mention, few yrs ago we saw owen Wilson riding his bike in central park. we stalked him for a bit before My husband approached him and asked if he could take his pic! Thanks, Erin! I know, Suzy’s dresses are so great – as is her coat, and the the Khaki Scout uniforms, and the narrator’s outfit, and the Island Police outfits, and Bill Murray’s pants, and the general woodsy tone, and the music, and the everything! Love that movie. Yay, what a fun series this is going to be! Your outfit is, as I expected, seriously awesome. 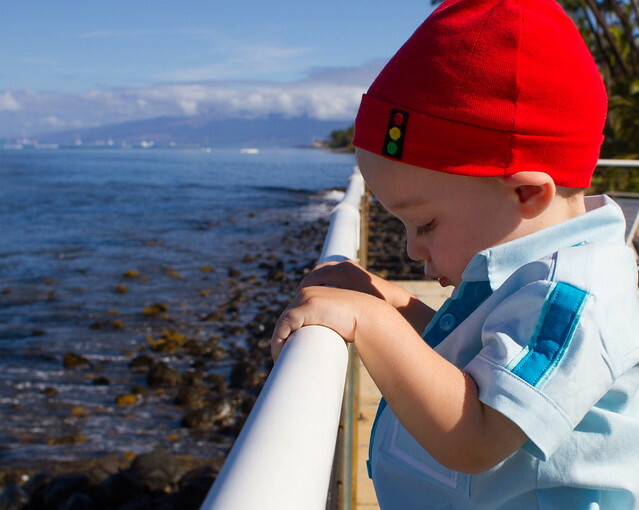 I love the hat, upside down traffic light or not. And you quite obviously put so much work into the whole look! Now the question is… Will you dress O in this and take him out in P-town? I wonder how many people will recognize the outfit. 🙂 just saw MK last night… 😉 it was sooo good. Wes Anderson is genius. I totally would. He didn’t get recognized at the condo in Hawaii, but I bet he’d turn a couple heads here. Maybe Saturday Market? Powell’s? Bolt? Haha. It’s even funnier in real life since he’s so tiny – hard to get a sense of scale here. Love this idea! What a great series. Yeay! Kristen! This is such a great idea! I thought about doing something like this, but never wanted to dedicate a whole month of detailed movie outfits, but once a month is totally doable! I eluded on Jessica’s blog that I wanted to do a whole closet full of Miyazaki outfits, so if you ever decide to do one of those movies, count me in!!! But I’ll probably want to sew along to whatever you all are up too!!! Oh! and make a button for it please please please!!! Love it! Can’t wait to see what movies you choose next. 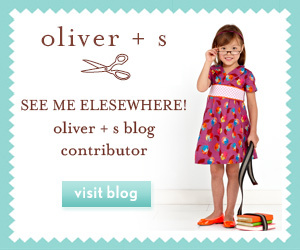 Love you and love that you are doing this (sewing/blogging) in a way that is so fun and so YOU! This is great! I love it! And this project to start off the series is adorable! You two are awesome! Love it! Great work!!!! haha when I first saw the pictures I actually thought your son was a part of the film ! Hilarious, I’ve never seen this film but I’d like to now. OMG this is the coolest thing I have ever seen! I’m a huge Wes Anderson fan, and I agree – the details are key! As my friend Elizabeth says about his movies: “Style IS emotion.” Love it! Awesome!!! Thank you, this post made my day! OK I’m just catching up and this is so, so cool. Very exciting!! I can’t wait to see all the things you come up with! I totally missed this post! But I LOVE it! So much fun – it really gets the juices flowing!! And that outfit is just SO cool – makes me wish I had a boy to sew for. Can’t wait to see what’s next!! Oh my gosh, I had to scroll FOREVER to get to the bottom of all these comments!!! I obviously don’t need to tell you that this is FANFREAKINTASTIC. I love it. It really is a perfect example of your incredible attention to detail and your awesome, indie-geeky, ridiculously cool taste and style. CANNOT WAIT to see every month’s creation for this series!!!! Looking over your film petite I have to say, I think I love you! What a great idea for a series… Can’t wait to see what is next! Hola! I’ve been reading your web site for a long time now and finally got the courage to go ahead and give you a shout out from Lubbock Texas! Just wanted to say keep up the great work!